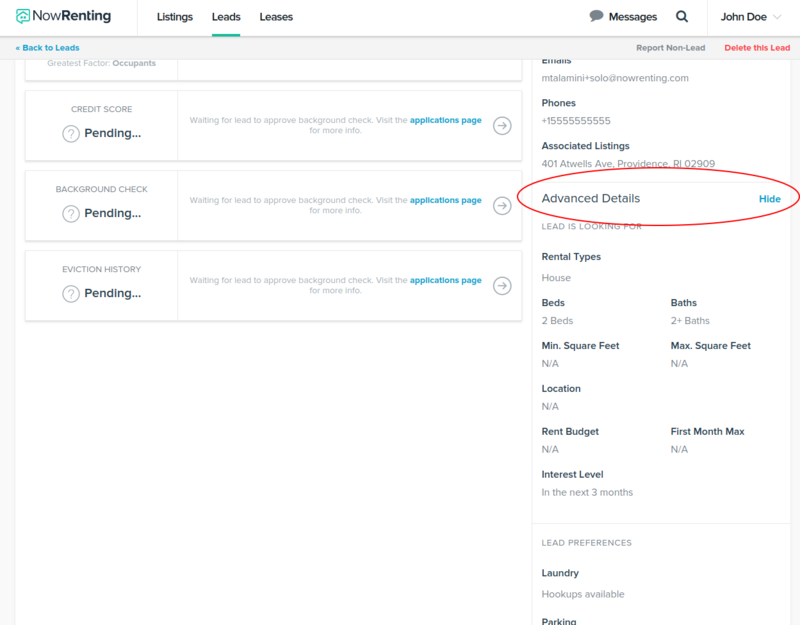 Whenever a potential tenant uses the NowRenting apartment search, their information moves into the NowRenting LeadFeed. If you have access to the feed, leads generated in this way will include additional information, which is accessible through the Advanced Details section. This is also a handy place to take note of information about a lead you may have from a phone or email conversation. 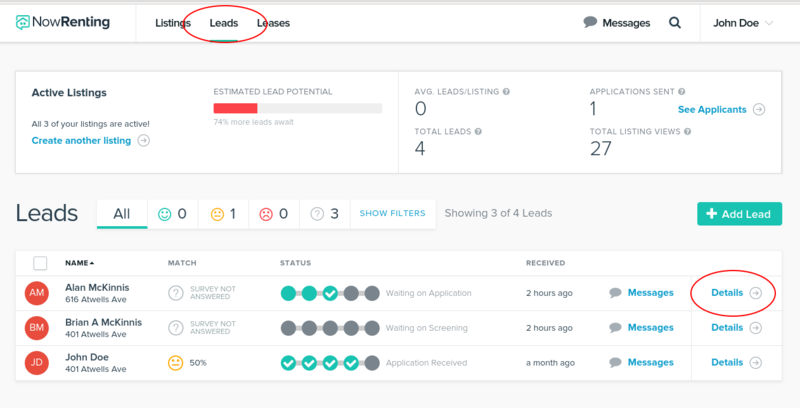 From your Lead Dashboard, select the Lead you want to see in more depth. Click the Show link next to Advanced Details. If you need to change any information, click Edit next to Details.